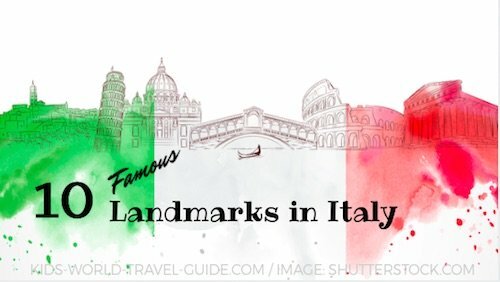 10 Italian Landmarks and Attractions you definitely should know! 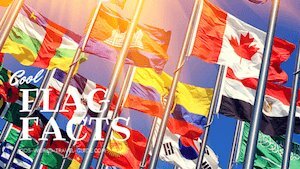 Here on this page you will find 10 Famous Italy Landmarks and Attractions in Italy with fascinating information - actually this not only for kids but for all who want to know more about Italy and famous landmarks. Italy is one of the most popular tourist countries in the world and the top country to learn about ancient Roman history. There are so many famous monuments, buildings and castles in Italy, but these top 10 landmarks should be recognised by everyone! 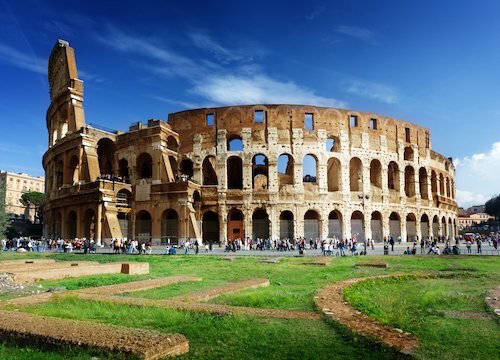 The Colosseum is one of the landmarks most people can easily link to Italy. The huge oval amphitheatre stands in the city centre of Rome and construction was started in 70 AD. Built in Roman design borrowed from the Greeks, the amphitheatre was build in the bad of a dried out lake. The colosseum was the place in those days where the Romans held their popular fights and games. There were gladiator games, animal hunts and mock sea battles held in the colosseum. About 50,000 people could be seated on the steps of this ancient amphitheatre. Also in Rome, right next to the Colosseum is the 'Forum Romanum'. 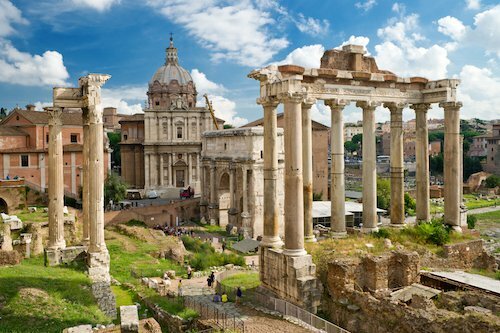 The original ancient town's central square with ruins of the temples, palaces and buildings of ancient Rome, are a magnificent sight. The forum was built around 800BC and was in use for some 1400 years! The ruins of the buildings and temples, however were only discovered during excavations in 1803! 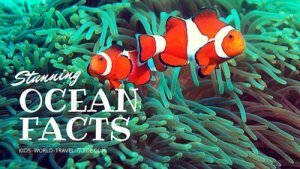 Read more interesting facts about the forum here. 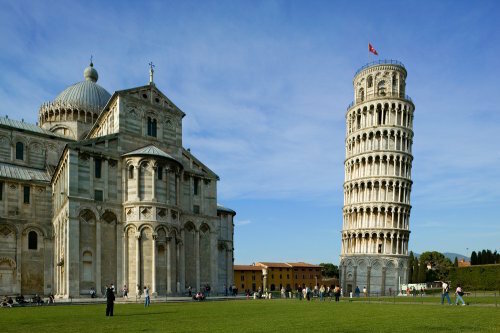 The famous Leaning Tower is in fact the city cathedral's bell tower, in Italian called 'campanile'. The tower was constructed in 1173 but the structure was miscalculated and built on not so solid ground, so the tower began leaning early on! It is said that Italian scientist Galileo Galilei used the tower for various gravity experiments, such as dropping various objects from the top of the tower. The tower is only about 56/183ft metres tall while the tower's tilt is actually more than 4.3metres/14ft, when measured. Meaning the top is leaning over so much the towner seems to fall. In 1999 some soil was taken away from underneath the tower, to lower the degree of the tilt and pull the tower more upright so it would not topple over. If you want to climb to the top of the tower, there are 294 steps to climb! Thousands of tourists come to Venice every year to see the houses built on wooden piles along the many canals and waterways of the city. 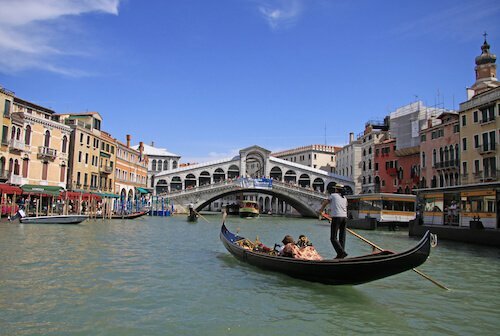 There are about 500 wooden gondolas and many more water taxis ferrying people across the city. St Mark's Square with the famous St Mark's Cathedral (basilica San Marco) and the campanile (bell tower) are major attractions. The city's palaces and houses can either be reached by boat or foot, there are no cars driving in this city! Three bridges cross the over 4km/2.5 miles long Grand Canal, of these the Rialto Bridge is the most famous and also the oldest. By the way, the Canal Grande is only about 5 meters/17ft deep. The 'Arena di Verona' is a massive amphitheatre and the second biggest in the world, after the colosseum in Rome. In Roman times, the amphitheatre was used for gladiator fights and theatre performances. 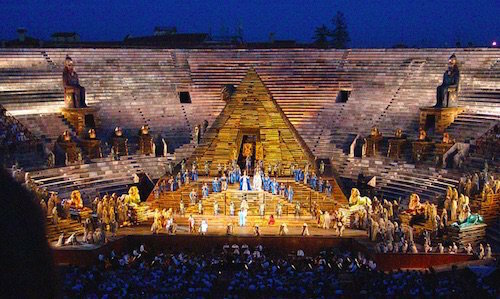 Today the amphitheatre is used for an annual opera festival in August, which is very popular with tourists from all over the world. In Verona, you can also visit the famous balcony at the house of Juliet. Shakespeare's popular love story of Romeo and Juliet is said to have its origins in this town. 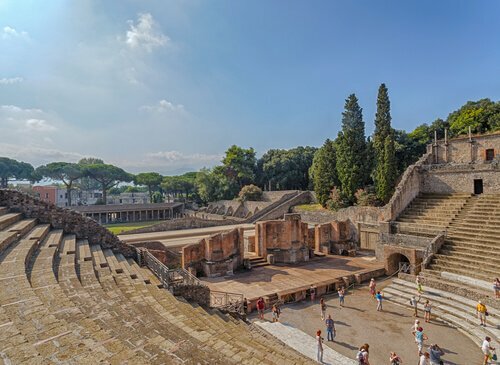 The ancient ruins of Pompeii near Naples in southern Italy are one of Italy's major tourist attractions. The ancient town which was once home to over 10,000 people was destroyed in 79 AD by an eruption of the nearby volcano, Mount Vesuvius, which is still active today. The magnificent amphitheatre is one of the most intact buildings and structures still to be seen on this UNESCO world heritage site. 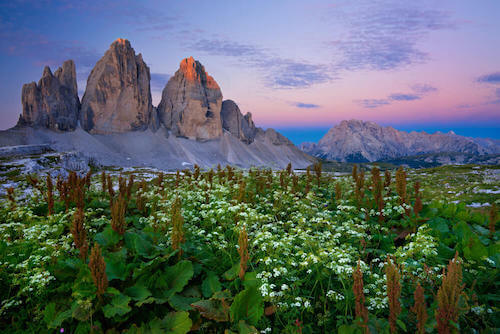 The Dolomites are a mountain range in northern Italy and part of the Alps region. This mountain region is popular with skiers and snowboarders in winter and hikers, climbers and mountain bikers in summer. Most mountain peaks are higher than 3,000 metres/10,000ft. Should you want to go hiking there in summer, come prepared as the weather can change quickly and it can be really cold at the mountain top even in summer. But then views are fantastic! The 'Old Bridge' or as the Italians call it 'Ponte Vecchio' is crossing the Arno River which flows through the capital city of the Italian region of Tuscany. Many artisans and craftsmen have their little workshops on this bridge. 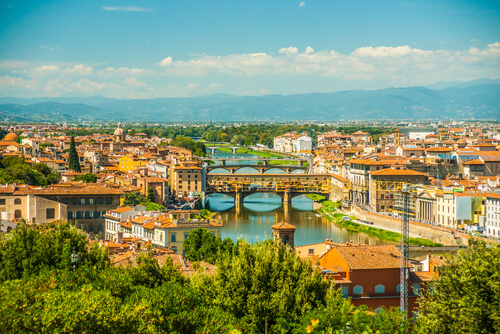 The historic centre of Florence is also known for its cathedral, palaces; and the Uffizi art galleries are among the most visited by travellers. Michelangelo's 'David' statue is one of the most famous sculptures in the world. 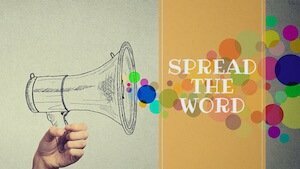 According to the UNESCO about 30% of the world's most important works of art can be found and viewed in Florence! 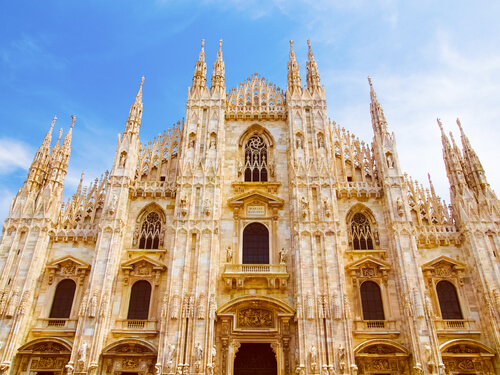 The cathedral in Milan/Northern Italy is one of the most spectacular buildings in Italy. 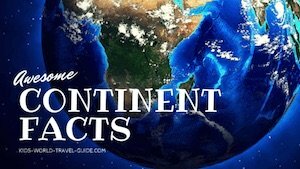 It took nearly six centuries to complete! The 'duomo di Milano' as the Italians call the cathedral is one of the largest church buildings in the world and also in Italy the second largest, after the Vatican's Basilica di San Pietro (St Peter's Cathedral). Milan is also known as Italian fashion and shopping capital and is home to one of Italy's most popular soccer clubs - A.C.Milan. 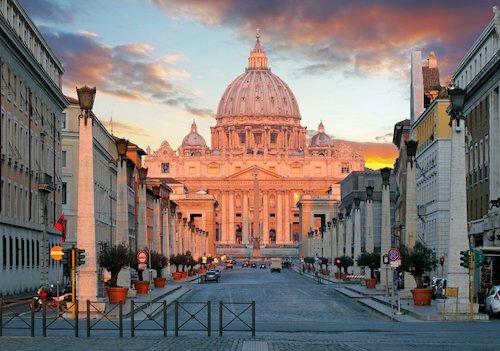 St Peter's Basilica is the most famous and biggest cathedral in the world. The place and the church are just awe inspiring! There are 284 columns with statues of saints flanking the cathedral place. The dome alone is 42metres/138ft. in diameter which is more than the width of a soccer field! The cathedral was nevertheless constructed, and finished, in 'only' 170 years. 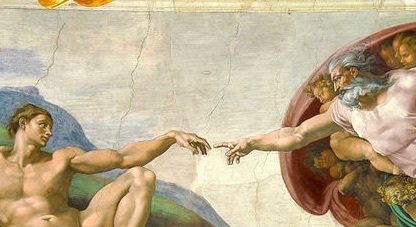 The Sistine Chapel, next to the Basilica, is also famous for it's painting of the 'Creation of Adam' by Michelangelo. 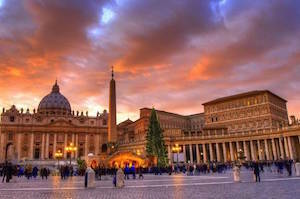 These buildings are located in Vatican City, which belongs to the Vatican State, the smallest country in the world, which is located in the heart of Rome and most tourists will see these famous attractions when they visit Italy, so we added them to this listing.